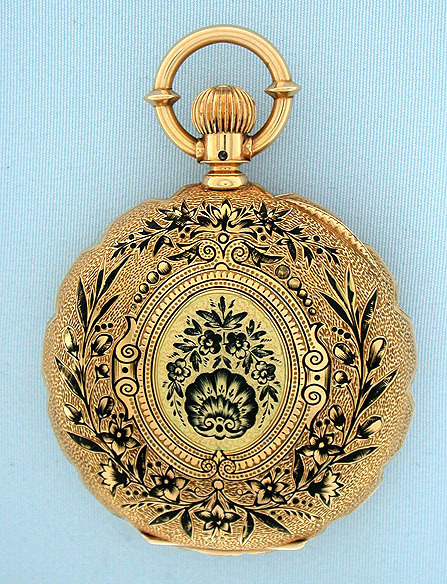 Beautiful Waltham 18K gold enameled scallop case antique midsize watch circa 1881. 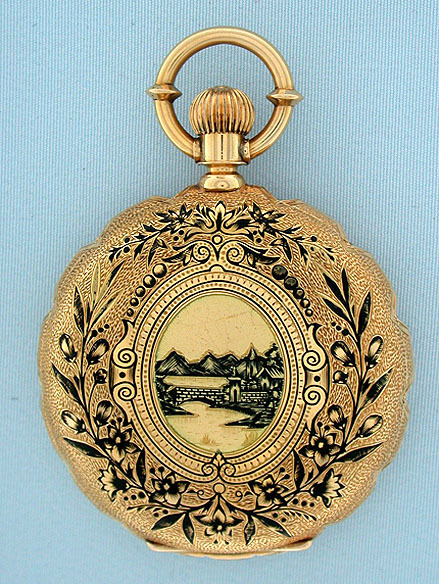 The substantial case engraved overall and enameled with black foliage centered with a landscape on the front and flowers on the back (typical overglaze scratches). 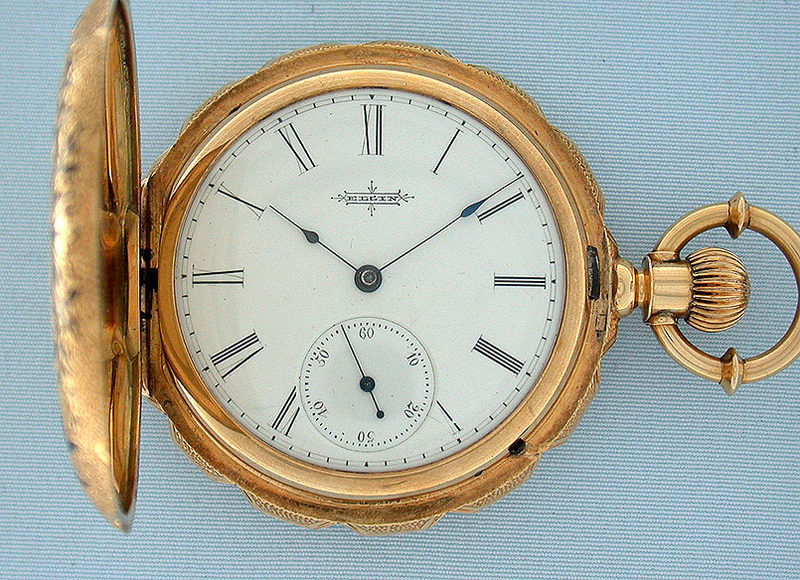 White enamel dial (clean hairlines) with black numerals and blued steel hands. 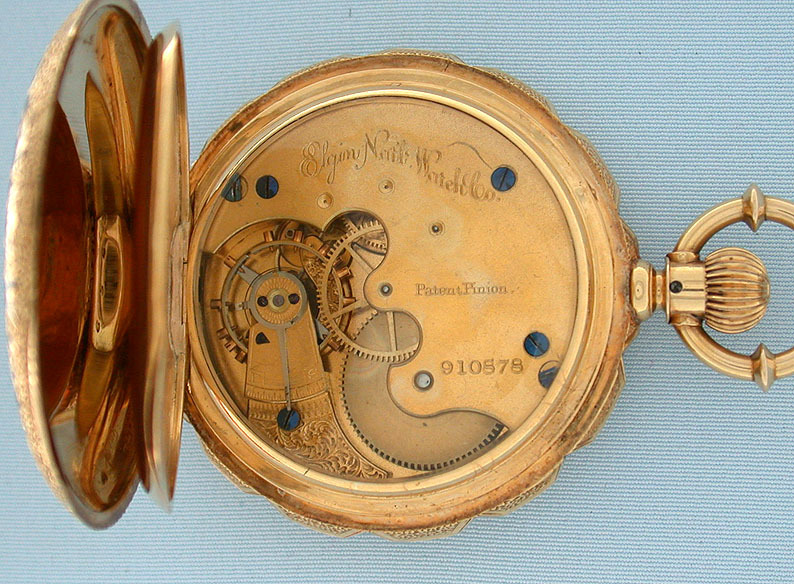 Gilt 6/S 7 jewel movement.